Many of those who came from Central America last year have now made their way to families in New York, Virginia, Florida and California. Sue and Greg Smith, co-founders of LUCHA, work among the Latino community in Fredericksburg, VA. “Many of the people from Central America are fleeing gang violence and crime.” said Sue Smith. “Unlike others who have immigrated to the United States, many now arrive traumatized by violence and are in need of a different kind of support.” One report estimates that there are ten murders in the city of San Salvador every day. It is not uncommon for children to have witnessed a murder. In Homestead, Florida Wanda Ashworth Valencia works at Touching Miami with Love, under the direction of Jason and Angel Pittman. “Sometimes Miami is called a first-third world city,” says Jason Pittman, “because of the large discrepancy between the extremely rich and the extremely poor.” The Pittmans work in Overtown, an historic African American neighborhood, while Wanda offers similar community development work in Homestead, which serves a largely Hispanic population. These handmade dolls are a symbol of welcome for the many immigrant children who come to the United States. 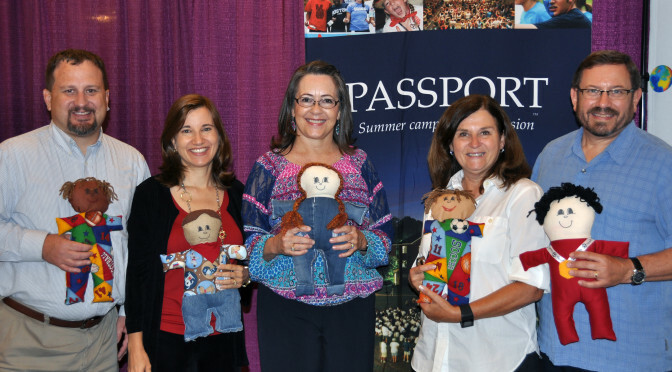 The Welcome Dolls were created by a Women in Ministry group from College Park Baptist Church, Winston-Salem, North Carolina and sent to Diann Wisnand in Texas, where they were distributed to newly-arrived immigrant children. 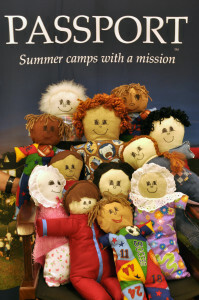 Each child also received a note of encouragement, reminding them to think of God’s love and care as they hug their dolls. Many Latino children who arrive in the US are reunited with their parents after many years of being apart. They’ve been living with grandparents or other relatives while their parents came to the United States to work and establish a home before sending for them. They don’t speak English, they don’t know their parents personally, and they’re grieving over the people and things they’ve left behind. “The adjustment is hard on everybody,” says Sue Smith of LUCHA. “Ministries such as ours focus on helping the whole family understand that it’s not an easy process. It takes time.” Programs focus on practical aspects of adjustment, such as homework assistance to help children in school, ESL to encourage language proficiency, and adult language and literacy programs to help parents become more engaged in their children’s education. And then there’s the emotional adjustment. Parents have dreamed of having their children with them, and children have dreamed of coming to the states to live with Mom and Dad. But there are challenges. The kids are essentially entering a “new” family, learning the rules and getting to know each other. It’s frustrating for parents, and it can be lonely for the new children. Today, Maria is 16 and is one of the young people who attends Passport with her church. Not only has Passport taught campers about welcoming immigrants, but they’ve modeled it by welcoming many of these children and youth in camp. Is my Daddy a bad person?